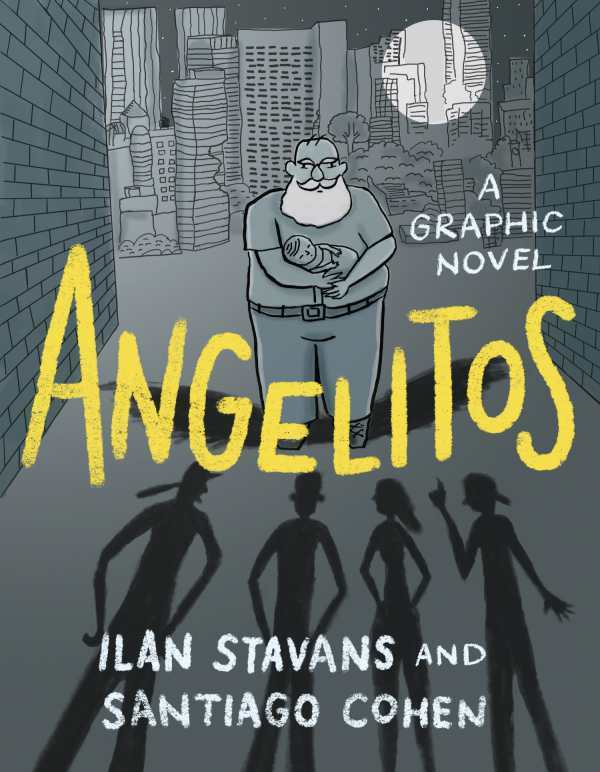 In the graphic novel Angelitos, Ilan Stavans and Santiago Cohen team up for a fictional tale about a controversial real-life figure, Padre Chinchachoma of Mexico, and a student introduced into his world and the seedy underside of Mexico City. Padre Chinchachoma (a name bestowed on him by the public, meaning “man without hair”) was a Catholic priest who dedicated himself to saving homeless children. Set in the year 1985, the story begins with a student in his early twenties being robbed by a group of homeless kids. The student, who is also an aspiring writer, attempts to retrieve his notebook from them and comes into contact with Padre Chinchachoma, their protector and parental figure. Angelitos highlights the complicated and dangerous lives of the children. This is showcased in how tensions escalate between Padre Chinchachoma and the police, between the police and the children, and between the children and a rogue member of their group. Cohen’s art is simple and raw, innocent and chaotic, and it’s perfect for this story. An experienced illustrator, Cohen varies the composition of his pages to maximize their impact. For example,when a character thinks, “I felt anxious and frightened and disconcerted,” those emotions are further emphasized by an irregular panel layout. The story ends in the aftermath of the tragic 1985 Mexico City earthquake with a pair of shocking deaths and an equally surprising example of resilience. Angelitos vividly captures the mix of good and bad within all people and societies.